This website has in place the following policies as recommended by the Federal Trade Commission, and companies who have affiliate programs. Affiliate programs are companies who advertise products on websites through links shared to their products. The linking website earns a small commission if a person clicks on one of the affiliate links, and then purchases the product. The following disclaimer is placed near each affiliate link on this website. 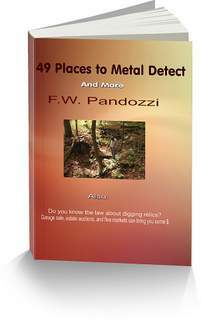 “Frank W. Pandozzi is a participant in the Amazon Services LLC Associates Program, Clickbank, and MyTopo affiliate advertising programs designed to provide a means for sites to earn advertising fees by advertising and linking to amazon.com, mytopo.com, and clickbank.com. As well, The Affiliate Disclosure is below and on every page that has a link to one of the above stated companies. If you have any questions about the following policies, please contact me.